BugOut Rescue Yellow Assisted Opening Pocket Knife - Bottle Opener, Screwdriver, Stainless Steel Blade, TPU Handle, Pocket Clip | BUDK.com - Knives & Swords At The Lowest Prices! 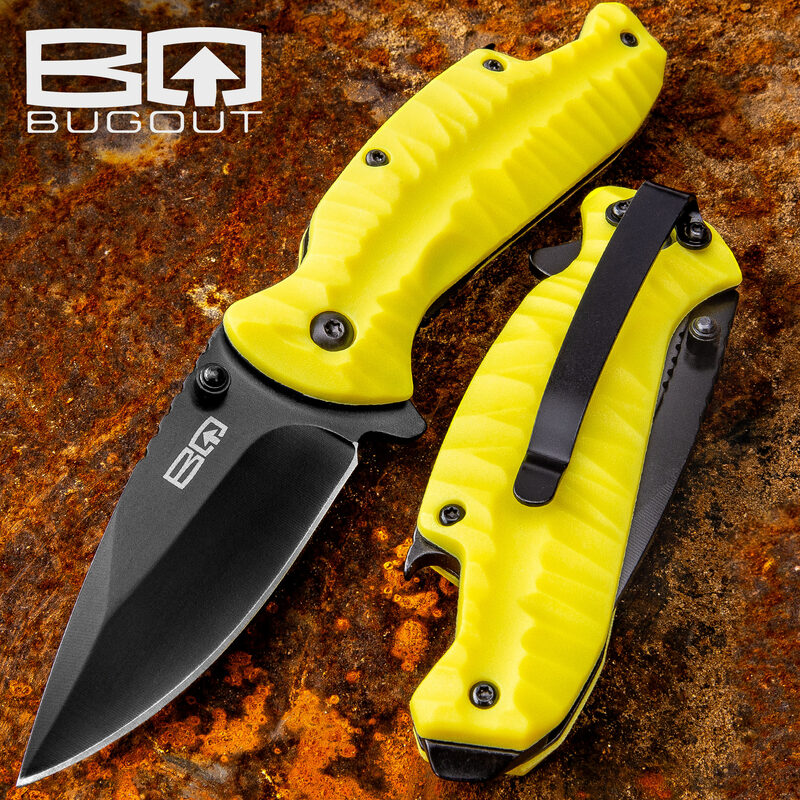 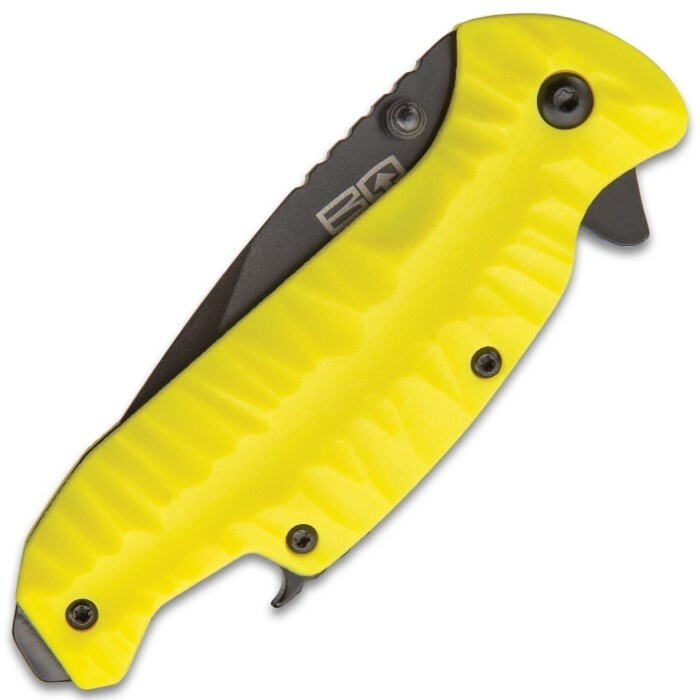 The BugOut Rescue Yellow Assisted Opening Pocket Knife takes everyday carry to a new level with its bottle opener and flathead screwdriver features. 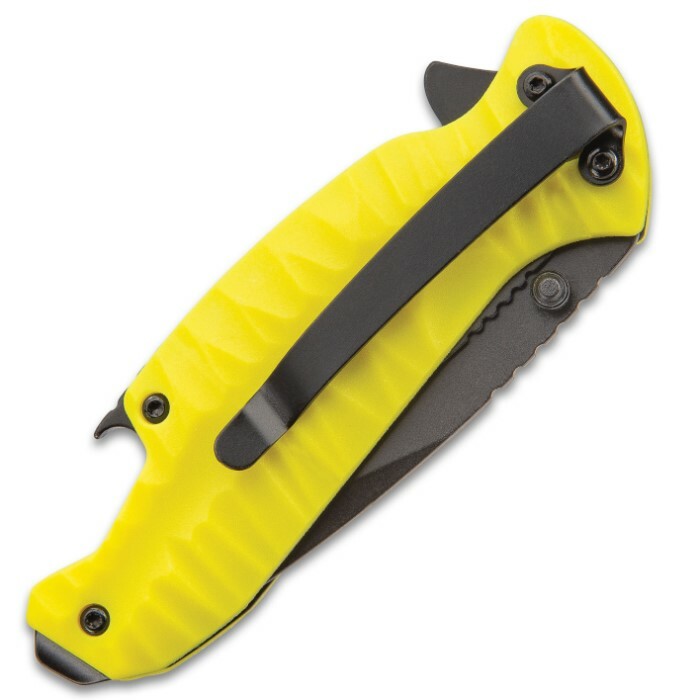 The keenly sharp, 2 1/2” black-coated, 420 stainless steel blade has thumb jimping for maximum control when using. 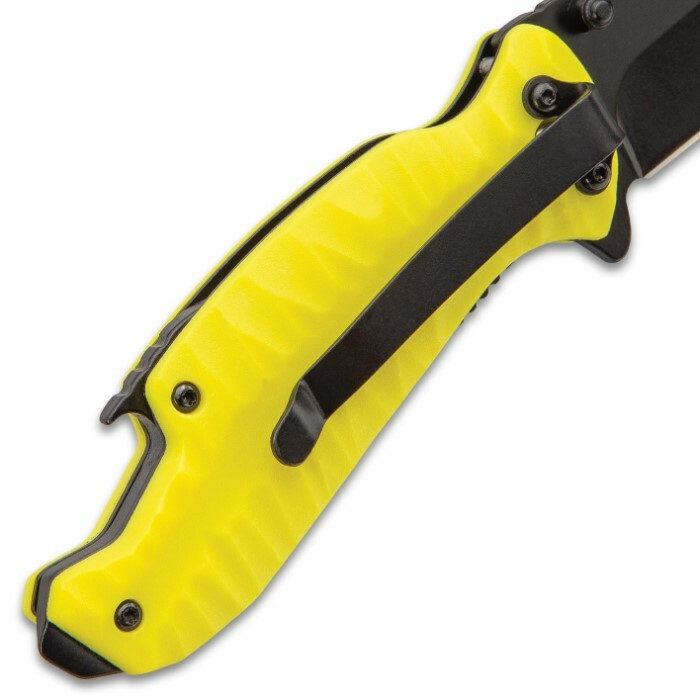 The blade can be quickly accessed using the flipper or dual thumbstuds to activate the assisted opening mechanism. 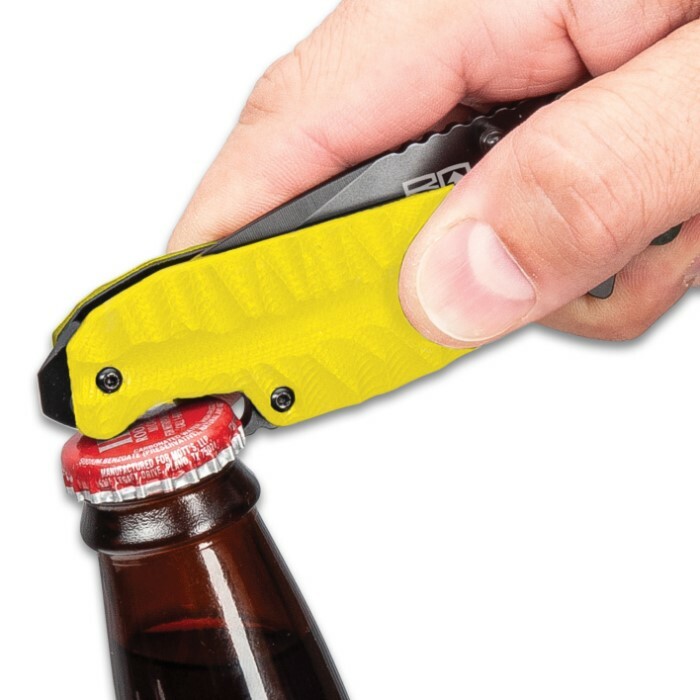 The grippy, bright yellow TPU deep-grooved handle has the built-in bottle opener and flathead screwdriver on its end. 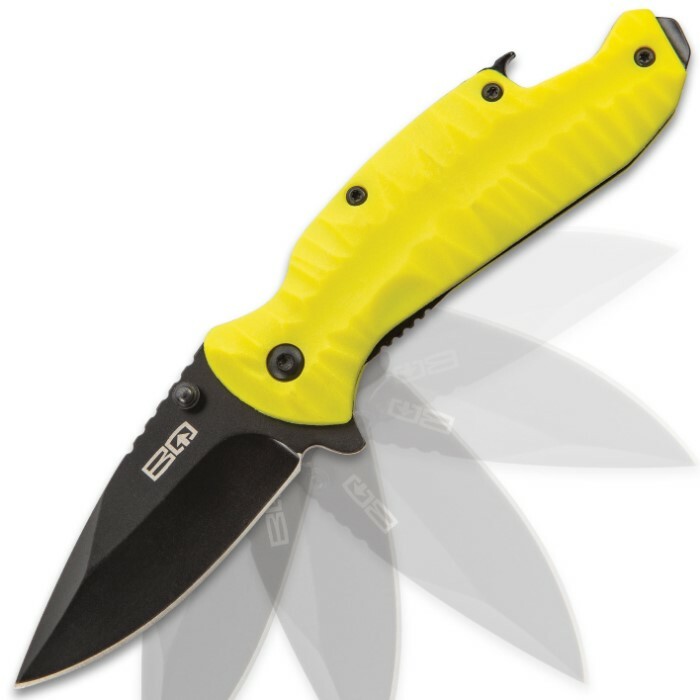 The everyday carry also features a black stainless steel pocket clip for convenient carry.